As you know, I love trying new things. And I love sharing the things I love. And I would love it if you found something you love from the things I love...so we can love the same things! So here's a short list of amazingness I have found over the last, oh, 4 months or so! I don't even know how to explain to the level of feels that I get whenever I hear this woman sing! I loved her in the Civil Wars [former duo with John Paul White, who I also love] and it was amazing to watch videos of her [and John Paul] sing their beautiful, heart wrenching, magical songs ever BETTER live than on a studio recording. That, my friends, is talent in my eyes! Her voice is so haunting, and she's a great song writer. When my bestie and I saw that she was coming to Asheville, NC [you know, the place that has half my heart, the other half being in Hatteras. Apparently I just really love North Carolina, but I digress...] we knew that we HAD to go. And so we did! It was a leap for us, but never a better choice had been made. She was amazing, so personable and fun, her voice was perfection, and the showcase of her new music was also equally impressive! I loved every song she performed. She is currently expecting a baby, and plans on releasing her album - Front Porch - in a few months. I cannot wait! Until then, there's a million videos of her on youtube. Here are a couple of her new songs live, posted below. When I bought these two books, I had no idea what I was getting in to. I had never heard anything about Empress Elisabeth of Austria, a monarch in the later 1800s. But I'm really happy that I didn't know, because it made these two books that much more enjoyable. They were well written, well researched, and they are fiction so some liberty was taken - but the details more than often were correct! 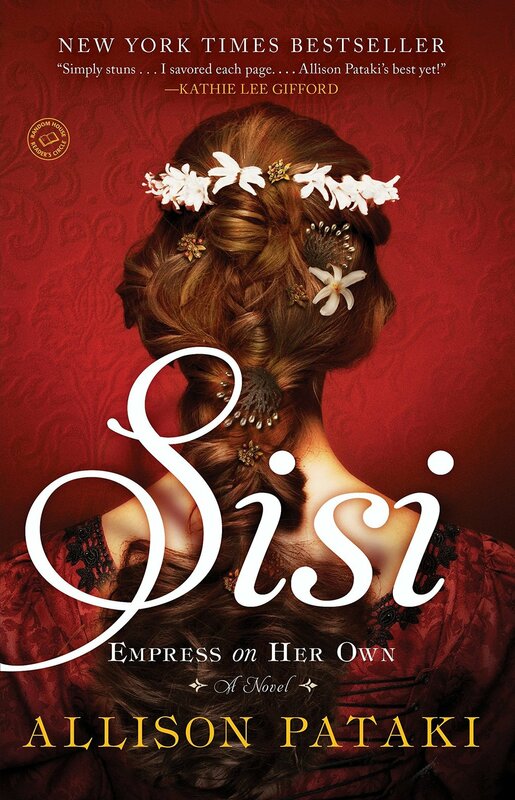 Empress Sisi [her nickname] lead a very colorful life, and it was so interesting. 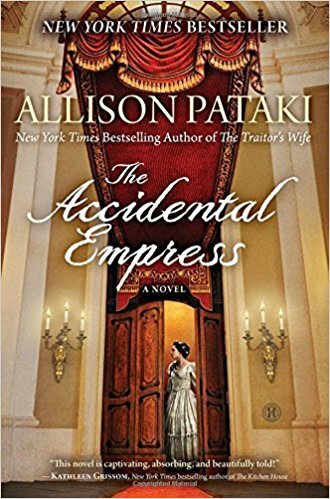 Like I often do, I became obsessed with the Empress, her family, and Austrian/Hungary history. I did all kinds of research, and bought so many more books to read! These two are going on my "favorites" shelf! I've watched A LOT of docs and movies and shows since my last favorites list in March, but these are the ones that stand out in my mind. Big Little Lies was headed up by actual movie stars, like Reese Witherspoon, Nicole Kidman and Shailene Woodley. It was very well made, and I watched the whole thing in two days! 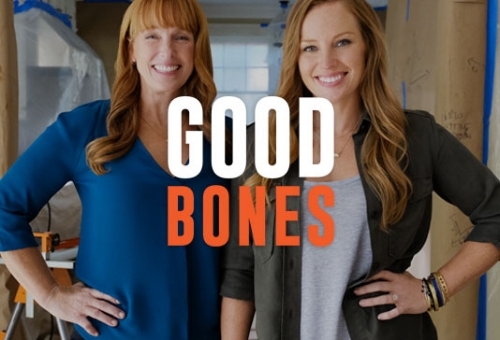 Good Bones is a show from HGTV, about a mother daughter team who rehab houses in Indianapolis. I love Mina and Karen! They are so funny and unique. I even love Mina's brother Tad and his loveable goofiness. I crave watching home renovation shows sometimes, and while this one can't quite feel the hole that the ending of Fixer Upper left in my heart, it's close! My very favorite thing I have watched in the last few months, by far, was The Marvelous Mrs. Maisel on Amazon. It was charming, well-made, well-written and witty - think an elevated vibe of Gilmore Girls! And for good reason, since it's created, written and directed by Amy Sherman Palladino, who was the Gilmore Girls mastermind. Set in 1960's New York City, it's got all the vintage glam and grit that I miss about Mad Men's setting. The basic concept is about a young, married Jewish mother whose "normal" life is interrupted by different happenings and the realization of a very interesting talent for a woman in her day and age. Don't want to give too much away! :) It was great, and I cannot wait for season 2! I think I've talked about Trader Joe's on my previous monthly favorites. It is my favorite grocery store! There's not have one close to where I live, but it's always worth the trek for me. One of the things I love most is the floral and fauna section. They have amazing fresh cut flowers, but I've really grown to love their selection of indoor-type tropical plants. I am up to 5 now! They are always healthy and hearty. Just what I need, because as we can see from various points on this blog - I DO NOT have a green thumb! Most of all, they are affordable: about $8 or less. I am not perfect at it, and I hate starting and stopping my lengths of threads, but the basics are super easy and I am making something beautiful in the end! I bought a pack of quilt blocks, and I'm currently working on them on by one, so I can actually create a quilt! It might take me a while, but I'm determined to finish it. I have done SO WELL with lessening my makeup purchases this year! Perfect? No. Still way about average? Oh yes. But still, I have tried to refrain! I did make one splurge and picked up ONE palette this year [palettes are my weakness] - and I'm so glad that I chose wisely! The Urban Decay Born To Run Palette is beautiful. It has just the right mix of colors. It has your basic shades, and then some pops of color. The shadow formula applies so smoothly and lasts for so long, especially under eye lids prepped with an eye shadow base [like Urban Decay Primer Potion, which is my favorite and I've used forever]. I wish sometimes there were more matte shades, because I prefer matte over shimmer, but I would say the mix is fair. Highly recommended if you love to experiment, like myself! I bought this on a whim, and I was pleasantly pleased! I normally do not enjoy things that are cherry blossom scented. That one scent from Bath and Body Works, Japanese Cherry Blossom, just really isn't my thing at all. But, this fabric softener is much different from that B&BW scent, and I love it! It's way more affordable than the Downy Amber Blossom I usually buy. Plus, it's concentrated, so you can stretch your dollar even further. I would recommend it most for your "hang to dry" clothes, because the scent will really stick around! 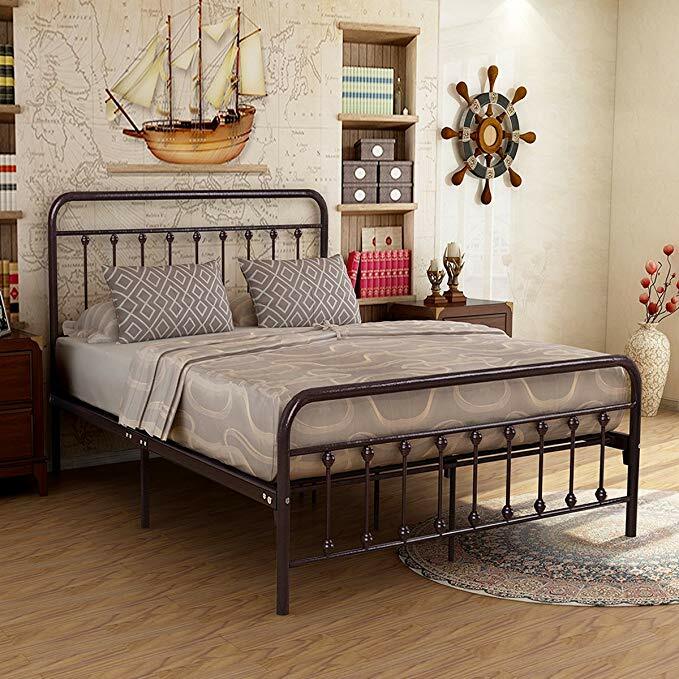 I don't have an iron bed currently, BUT I have my eye on them! 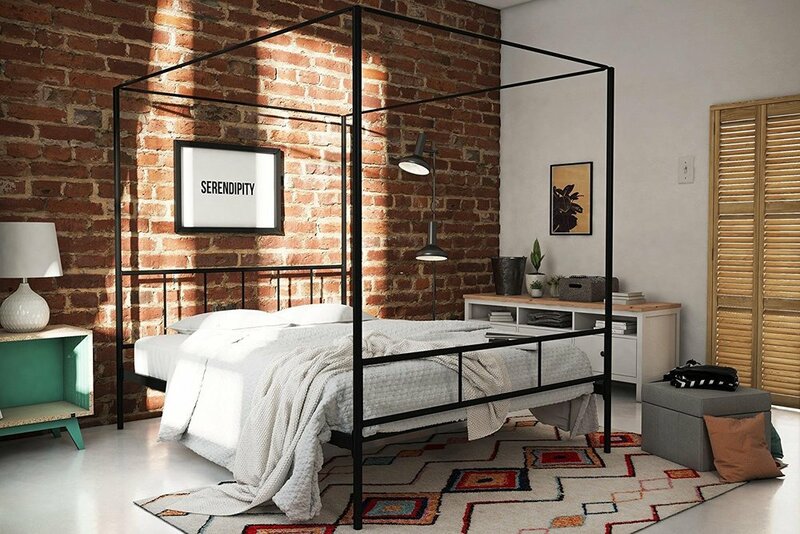 I just recently fell in love with the vintage-farmhouse yet modernish vibe that they bring to a bedroom. Here are a few I found online that I would LOVE to purchase sometime soon! If you found someone on here that you already love, or try something out and love it, please let me know in the comments!